We have been learning all about the different layers of the Earth and about volcanoes. 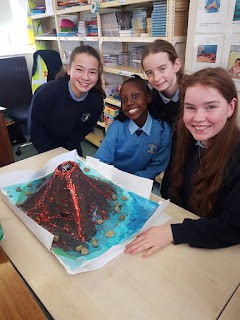 We were put into small groups and working together, made all of these wonderful volcanoes! 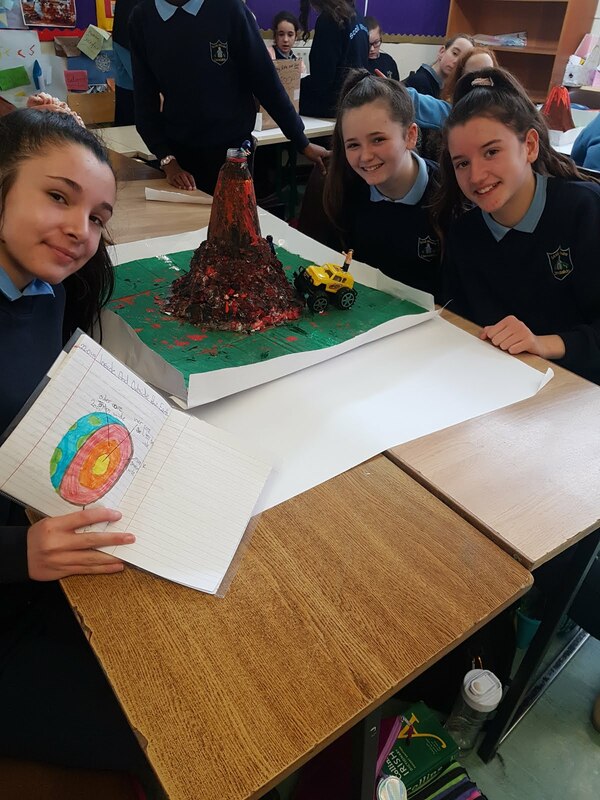 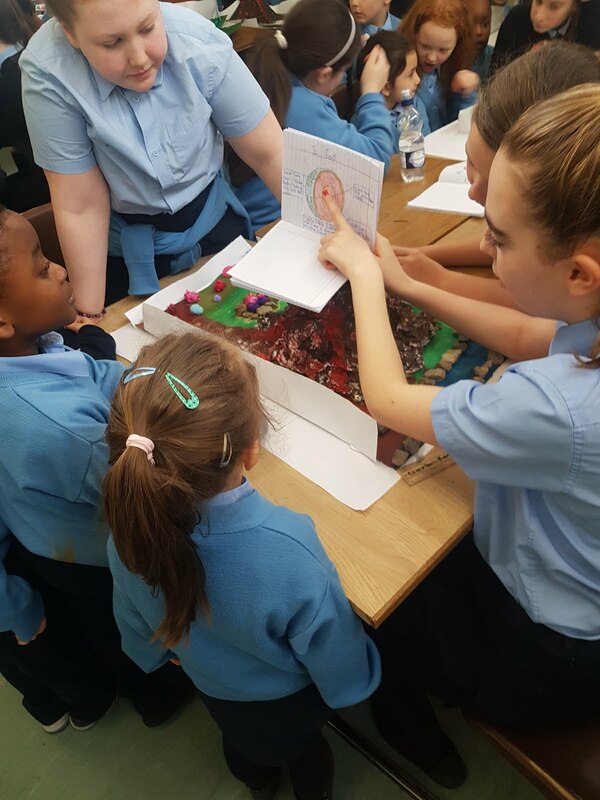 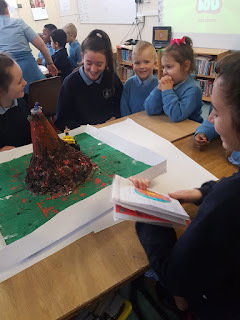 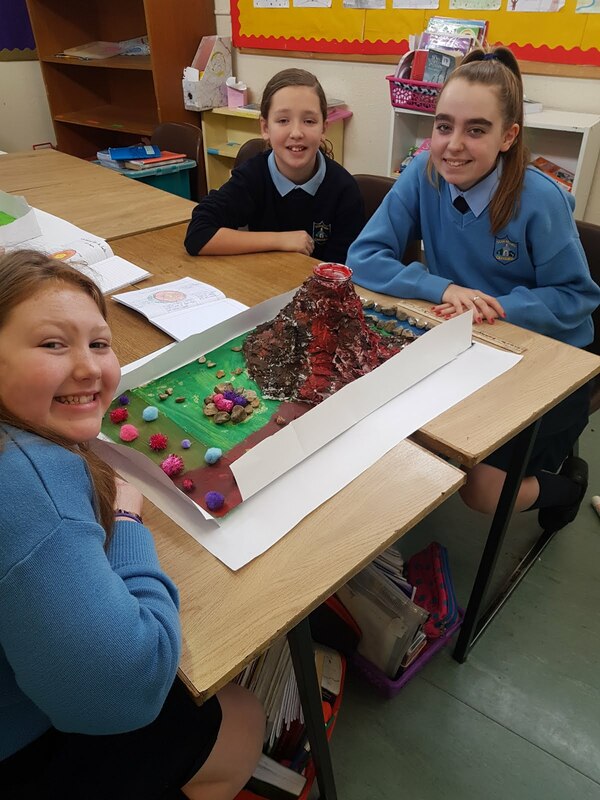 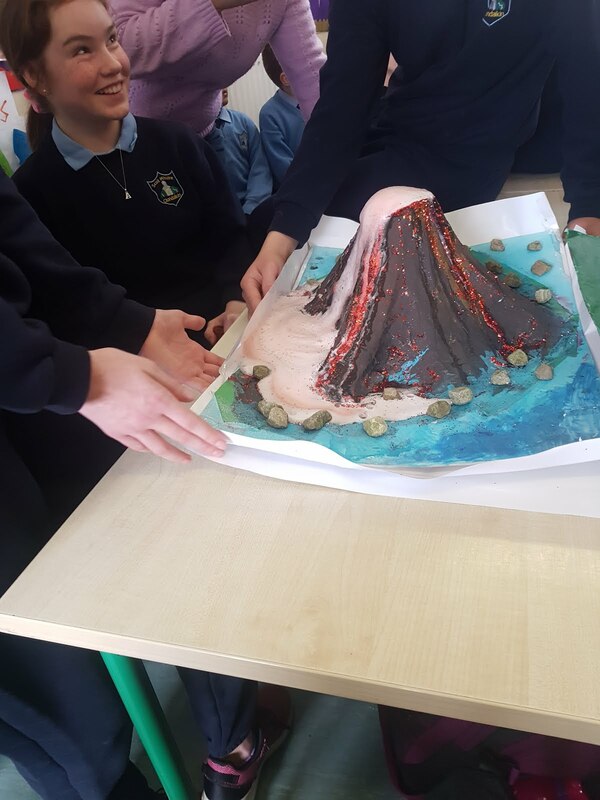 We invited the boys and girls of Ms. Martin's junior infants to our room to look at our creations.....and to watch the volcanoes erupt! 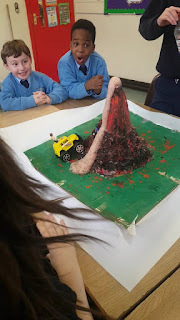 We taught our guests about volcanoes and then using vinegar, baking soda and some red food colouring, showed them what happens when a volcano erupts. 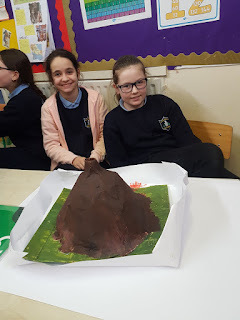 It was lots of fun for both classes. 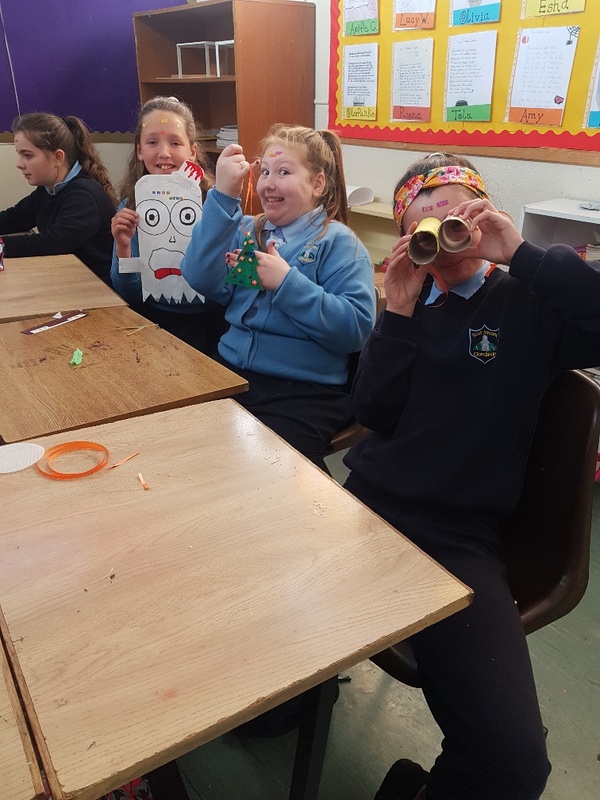 Thank you to Room 2 for joining us! 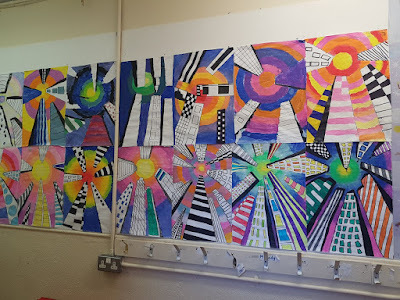 In Visual Arts, we learned all about perspective. We learned that things closer to us look bigger, and things further away look smaller. 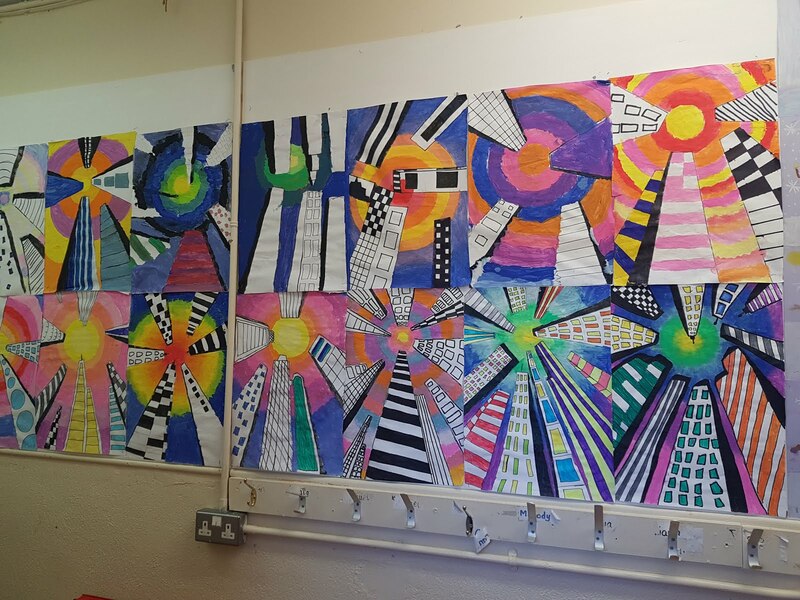 We used these skyscraper pictures to show how we can create perspective in our art, and to show that we understand how we can use it effectively. 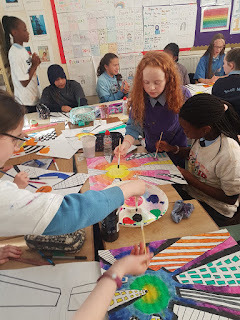 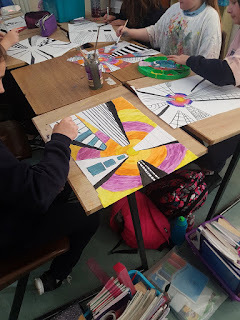 Here we are at work and some of the finished paintings. We learned all about the Aztec Empire in school and focused on the timelines. 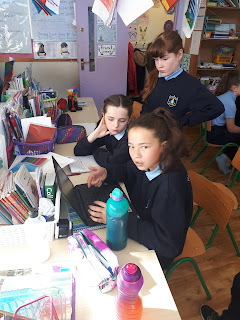 We then each made a project on the Aztecs, picking and researching headings that were interesting for us. 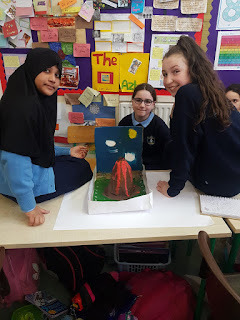 We presented our projects to the class and showed that we knew so much about everything that we learned. 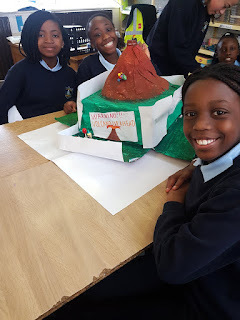 The projects were so creative and our teacher was so happy with the work that we put in. Here is our work! This week, we were lucky enough to do a workshop on creative recycling. 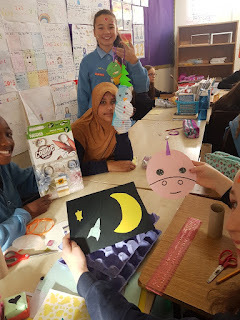 We brought in things like toilet paper holders, cereal boxes and egg cartons to use. 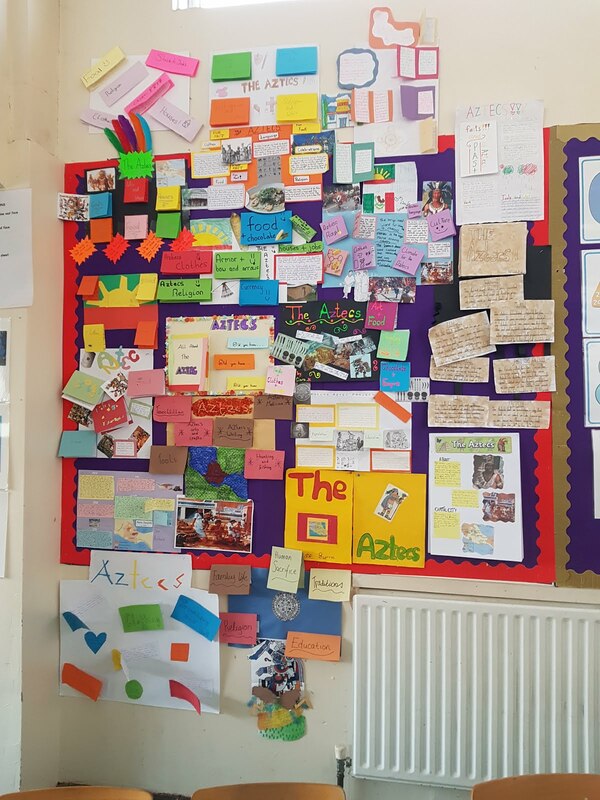 Loads of materials were provided such as wallpaper, straws, paper bags and even insulation from the wall! It was amazing what we could make out of recycled materials and we had so much fun making lots of different things. 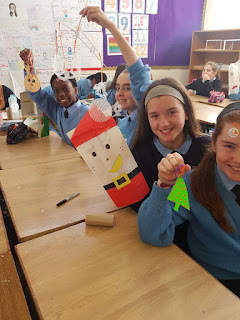 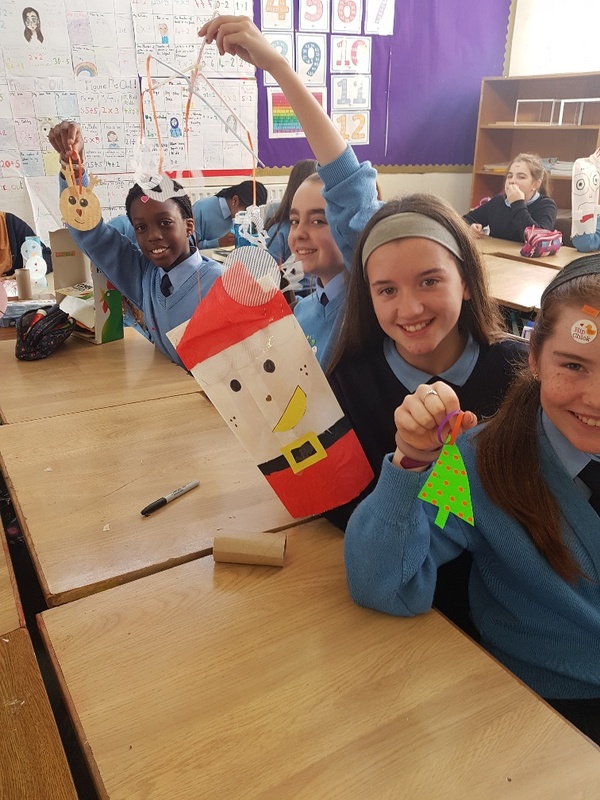 A few of us even decided to get into the Christmas spirit and make decorations. Here are a few of our creations. After a wonderful summer, we are back in school and are settled into our new class very well. 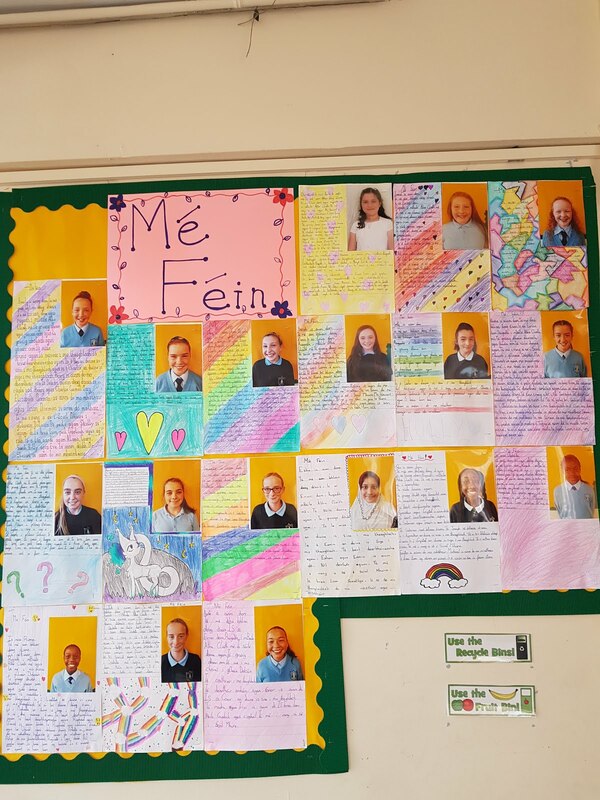 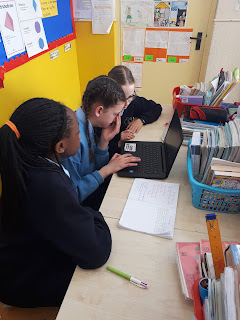 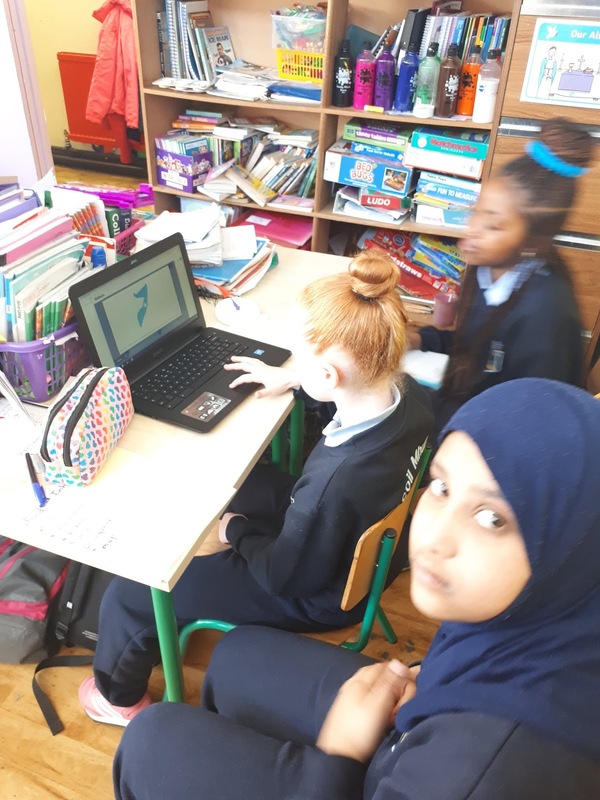 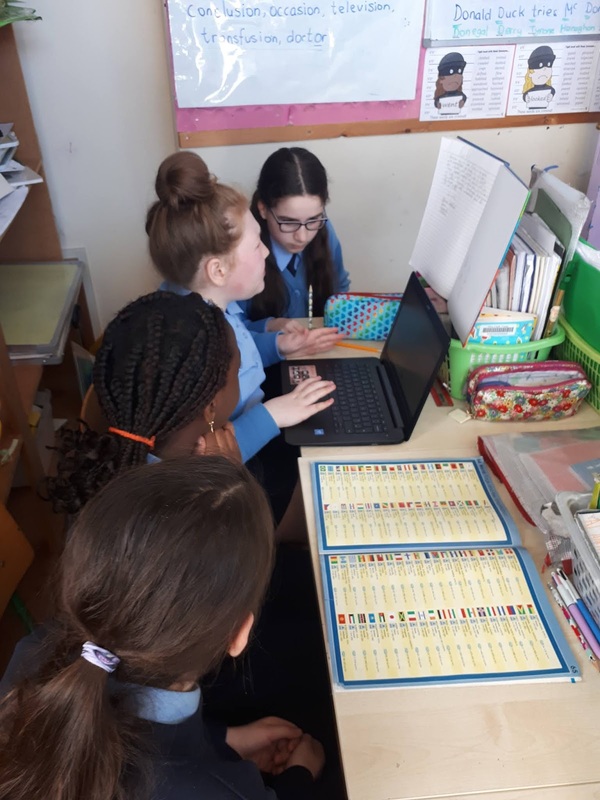 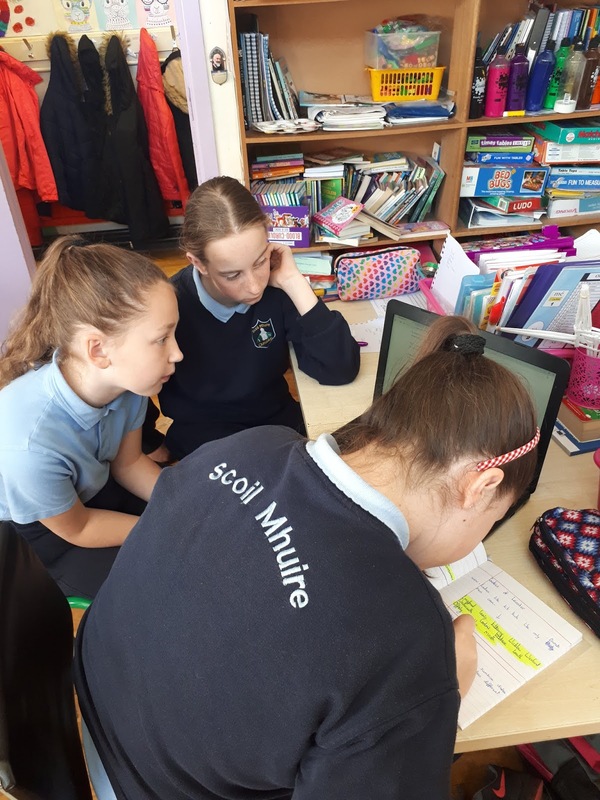 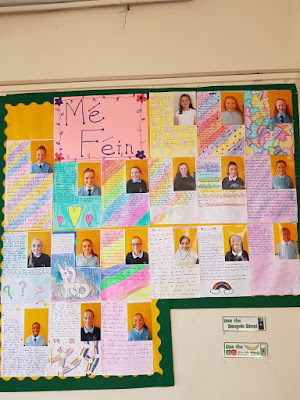 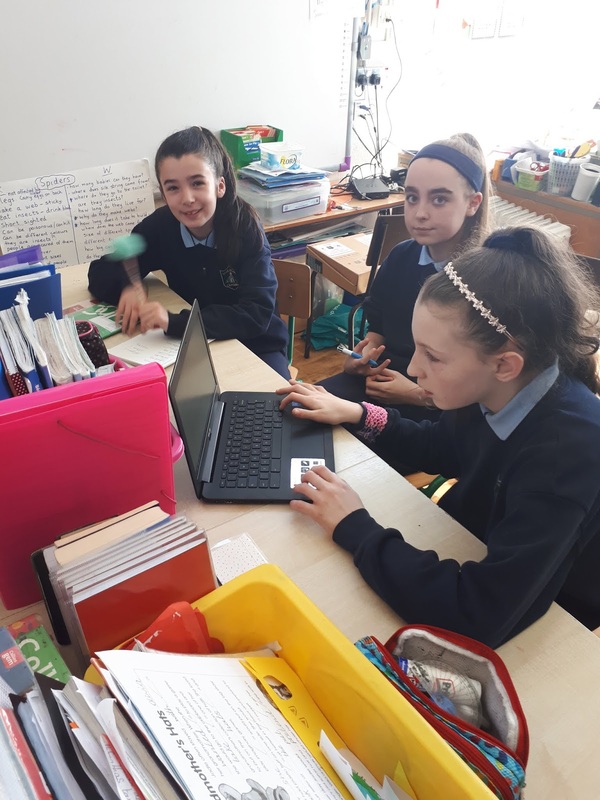 We learned all about how to talk about ourselves in Irish, and put our new phrases to the test by drafting, editing and redrafting our very own Irish essays on "Mé Féin". 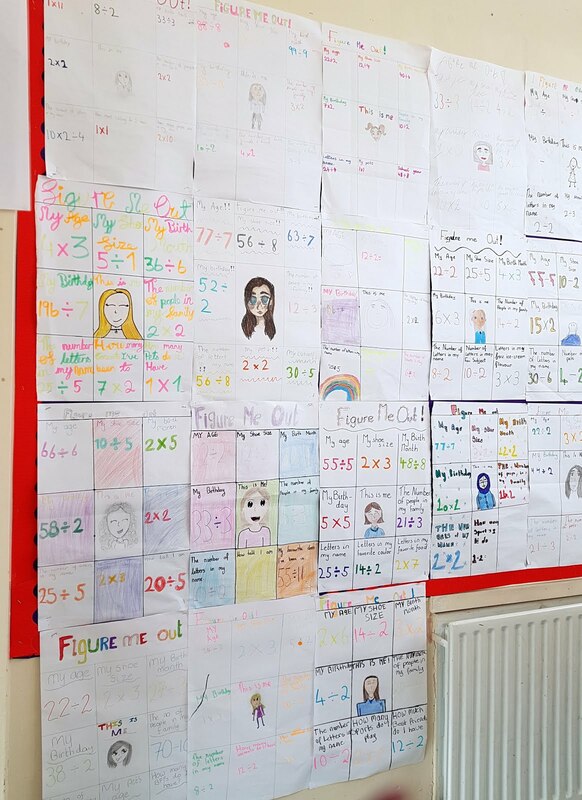 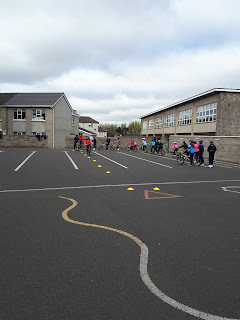 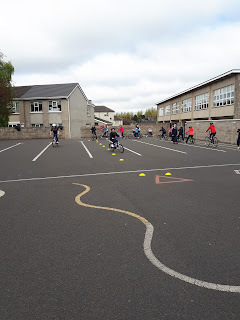 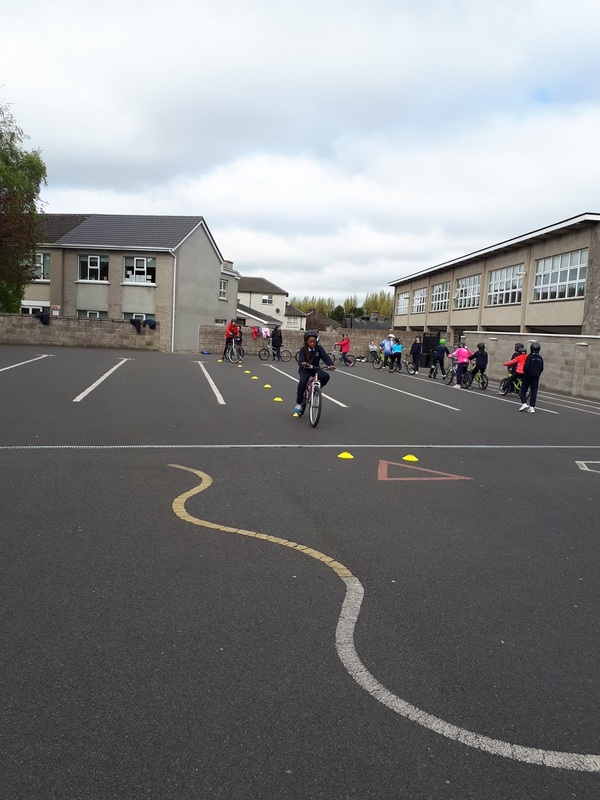 We also had some fun writing some sums about ourselves in an activity called "Figure Me Out"
We are enjoying our safe cycling lessons with Don. We are looking forward to the next few weeks.